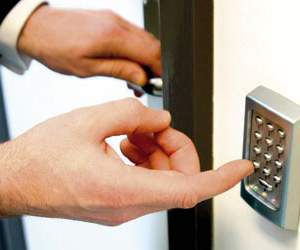 We offer a wide range of commercial locksmith solutions throughout Williamsburg Brooklyn. Williamsburg Locksmith is a top choice for home security solutions in Williamsburg Brooklyn. We utilize the latest technology, combined with our knowledge and expertise, to enhance your security and the functioning of your home space. Our focus is delivering a high quality service at a competitive price to all our clients based in Williamsburg, where no job is too big or small. We pride ourselves on providing the highest quality Locks without compromising our competitiveness while offering a complete Lock service to homes and businesses throughout Brooklyn. If you are looking for a local Locks specialist to help you with your Locks at an affordable price, call us. We can help you with the following services in Williamsburg, Brooklyn. Commercial locks and security solutions in Williamsburg. Same Day Locksmith Service Williamsburg Brooklyn NY Locks Service: Locks Installed / Rekey / Repair Locksmith, Masterkey Systems Designed & Maintained, Master Key Systems & Combination Lock, Lock Barrel Combination Code Changes, Card Access and Access Systems, CCTV Systems IC Core Systems, Code Violations Corrected, Automatic Door Openers, Hollow Metal Door, Panic Hardware, Hinge Service, Door Repairs Door Closers and Safes Services. Locksmith Williamsburg can provide few options for commercial door repair, including installation of new doors, or replace broken parts on an existing door. When you’re looking for a locksmith service we’re here to give professional, quick, affordable services and we highly recommend you come visit our local Williamsburg Locksmith website, you can also contact us for advice and further info at- 718-504-1757. 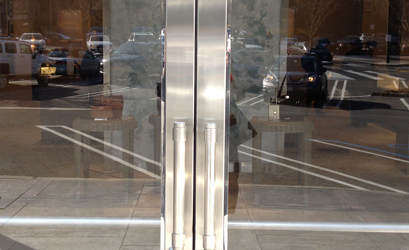 We will provide you with only the best solutions for your commercial door needs. We provide security gates, steel roll-up doors, automatic doors and fire doors. We have a selection of entrance and glass doors from where you can choose a design that is best for your establishment. Lockouts and new lock installation. 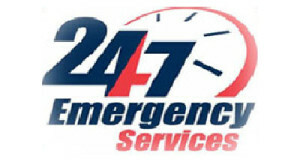 Our emergency 24-hour locksmith can arrive in 30 minutes for a home & car lockout in Williamsburg. Re-keying locks, lock installation and replacement, door fitting and repair, car key programming and more. So, if you are in need for a locksmith in Williamsburg, at any time of the day or at night, on weekends or during a holiday, we will be there. Locksmith Williamsburg can install the most up-to-date security camera and video surveillance systems for security, monitoring, and for liability and insurance. We have several premium security camera solutions with high-definition monitoring and recording. Get the peace of mind you deserve so you can stop worrying and keep taking care of business. CCTV is a system of video feeds that are transmitted within a closed system from various security cameras. Whether you use a one-camera system for your store or a multi-camera system for your large office, CCTV surveillance cameras are an easy way to upgrade your security system. Williamsburg Locksmith offers security systems solutions for businesses and commercial properties in Williamsburg Brooklyn. With our services, you can protect your employees, clients and your property. 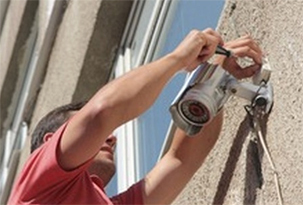 Locksmith Williamsburg can install the most up-to-date security camera and video surveillance systems for security, monitoring, and for liability and insurance. Closed-circuit television (CCTV) is a system of video feeds that are transmitted within a closed system from various security cameras. Unlike broadcast television, video streams are only available to authorized users. Whether you use a one-camera system for your apartment or a four-camera system for your large office, CCTV surveillance cameras are an easy way to upgrade your security system. As part of our locksmith services, we provide residential locksmith services: repair and re-key locks, change and install locks, install dead bolts, duplicate and replace keys, unlock doors for locked-out residents and more! We’re an experienced, local locksmith team. We use our extensive know-how to bring you some of the most dependable, trustworthy locksmith services in Williamsburg and beyond. From lock out service to key duplication to rekeying, you can trust our residential lock service to keep your home fully protected at all times. We offer products from Schlage, Weiser, Kwikset, Baldwin and Emtek.